First line, $50/mo. Two lines, $90/mo. Lines three, four and five FREE! OVERLAND PARK, Kan.--(BUSINESS WIRE)--Starting today, when customers sign up for Sprint (NYSE: S) they can get Unlimited Data, Talk and Text for $50/month for the first line with AutoPay, two lines for just $90/month; and the third, fourth and fifth lines of Unlimited Data, Talk and Text are FREE.1 When you do the math, it’s amazing: A family of five will pay $90/month for five lines. Sign up for Unlimited Data, Talk and Text with Sprint, with AutoPay, and get the first line for $50/month. Add a second line for, say, a spouse, partner or friend, and pay $90/month total for two lines. And then…for adding even more people to the plan – such as children, family members or close friends – receive lines three, four and five for FREE. This offer is good for a limited time only. Go to www.sprint.com/unlimited, visit your local Sprint store, or call 1-800-SPRINT-1 for more information. Are you a Verizon customer trapped in an old “grandfathered” unlimited data plan? Verizon no longer even offers the opportunity to sign up for unlimited data – so now is your chance to get out of your old, expensive plan and save money with Sprint. AT&T customer? AT&T only offers unlimited data plans if you sign up for DIRECTV® or U-verse® TV - with a minimum of $50/mo. If you’re currently on an unlimited plan with AT&T, you could save up to $180/month when you switch five lines to Sprint. T-Mobile customer? Sprint has an excellent offer for you! This new unlimited offer, which is paired with our great, reliable network, could save you $90/month on your unlimited plan for a family of five, excluding taxes and fees. Savings through March 31, 2018. After the promotional period is over, customers will pay the additional $10/month for first line, the second line remains at $40/month and each of lines 3-5 are $30/month – with AutoPay. With Unlimited Freedom, customers no longer need to worry about running out of data or surprise overage charges. Customers will enjoy unlimited mobile optimized streaming videos, gaming and music, and unlimited 4G LTE data for most everything else, all while on the Sprint network. Sprint (NYSE: S) is a communications services company that creates more and better ways to connect its customers to the things they care about most. 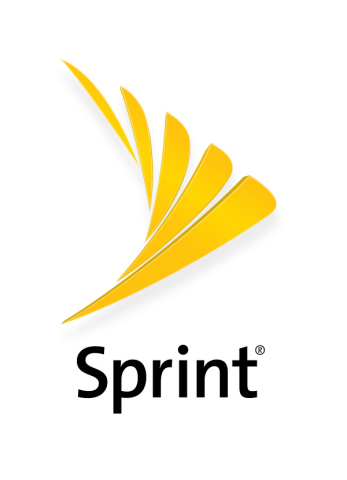 Sprint served 59.5 million connections as of Dec. 31, 2016, and is widely recognized for developing, engineering and deploying innovative technologies, including the first wireless 4G service from a national carrier in the United States; leading no-contract brands including Virgin Mobile USA, Boost Mobile, and Assurance Wireless; instant national and international push-to-talk capabilities; and a global Tier 1 Internet backbone. Sprint has been named to the Dow Jones Sustainability Index (DJSI) North America for the past five years. You can learn more and visit Sprint at www.sprint.com or www.facebook.com/sprint and www.twitter.com/sprint. 1 Savings until March 31, 2018; then $60/mo. for line 1 and $30/mo. lines 3-5. Mobile optimized: video streams at up to 480p+ resolution, music at up to 500kbps, gaming at up to 2Mbps. Data deprioritization during congestion. Pricing shown with $5/mo./line AutoPay discount applied within two invoices. Requires eBill and new account activation. Other monthly charges apply.